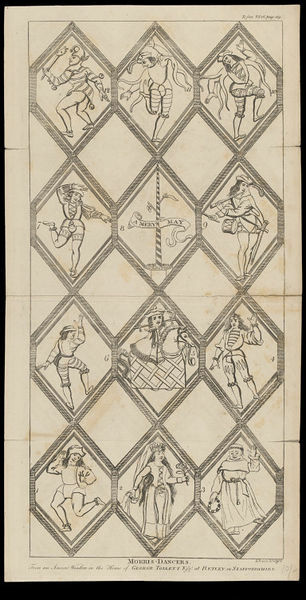 Print depicting twelve Morris-Dancers taken from an 'Ancient Window in the House of George Tollett Esq. at Betley in Staffordshire'. 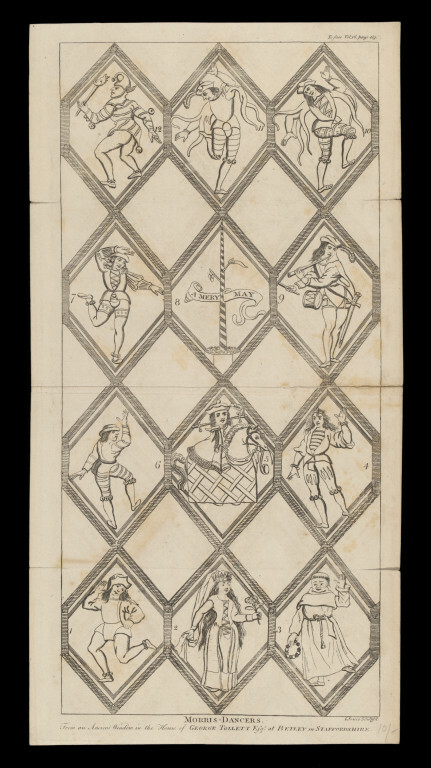 Etching depicting twelve Morris-Dancers taken from an 'Ancient Window in the House of George Tollett Esq. at Betley in Staffordshire'. 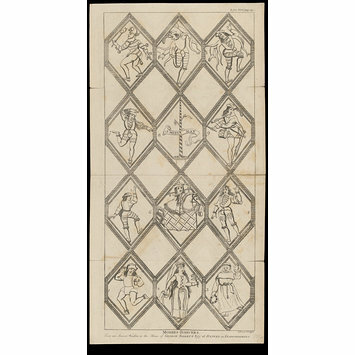 Print depicting twelve Morris-Dancers taken from an 'Ancient Window in the House of George Tollett Esq. at Betley in Staffordshire', before 20th c. Harry Beard Collection.